President Muhammadu Buhari has, Friday, warned governors and other leaders in the country to brace up for tougher times ahead, especially as regards the economy and infrastructural development of the country, saying things will be harder than before. President Buhari gave the statement in a message to the 36 state governors during a closed-door meeting with them in Abuja. The president’s message was made known to newsmen by the Governors’ Forum, Gov. Abdulaziz Yari of Zamfara shortly after the meeting. 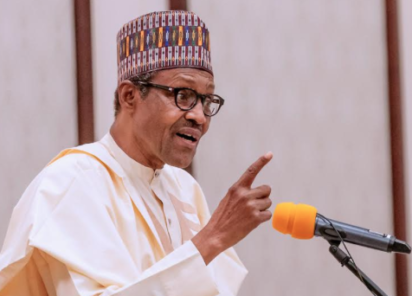 According to the governor, president Buhari also told them that the country’s economy is in bad shape, challenging them to brace up on way forward to salvaging the dwindling economy. According to him, “Mr President, as usual, responded by telling us that the economy is in a bad shape and we have to come together and think and rethink on way forward. “So, Mr President talked to us in the manner that we have a task ahead of us. So, we should tighten our belts and see how we can put Nigerian economy in the right direction and how we can address the nation’s infrastructural decay. “So, all of us as leaders, especially those that are coming to the National Assembly and those coming back as governors and the president who will be re-elected by God grace, we should not think that things are going to be easy. “They are going to be harder than before, this was the message of Mr President.’’ On the meeting of the National Economic Council, the governor disclosed that the Council deliberated extensively on new ways state governments could generate additional revenues for speedy economic growth and development.